The focus will be on the infrastructure side, not the developer side of the tooling. Hence, infrastructure as code. The talks will cover using Terraform to build infrastructure in AWS including openScap hardening. Service discovery with Consul and monitoring your infrastructure with open source monitoring tool Alerta. 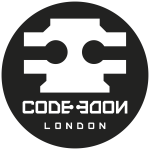 Sorry, looks like London Infrastructure As Code haven't got any events scheduled for the moment! Brief overview of the Elastic.co and the Elastic Stack. In previous meetups we've looked at how to create infrastructure (as code) using Terraform in AWS. We also tackled "how to GitHub" covering code collaboration and source control. Now it's time to visualize our infrastructure and see what our servers are actually doing. What I wish I knew about the Elastic Stack when working at Burberry and Barclays! Server discovery with Consul and monitoring your infrastructure with open source monitoring tool alerta. This talk follows on from the previous talk and will introduce Consul, Alerta and puppet into our Terraform configuration. We provide userdata to configure an application, storing it's address in consul for service discovery, and launch Alerta to monitor our EC2 instances and receive alerts.